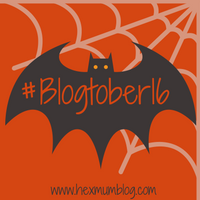 So here goes, my first stab at the #Blogtober16 challenge over on Hex Mum Plus 1, which asks you to write a blog post for each day of October. This is all about me. Something I don't actually like to write about. So here goes. I am, Shona, a mum of two gorgeous babies. M is 2.5 years and F is 11 months (until the 12th!!!). Before this I worked in a local newspaper as a reporter. Other jobs I have are are a supermarket worker and a job in a science museum. 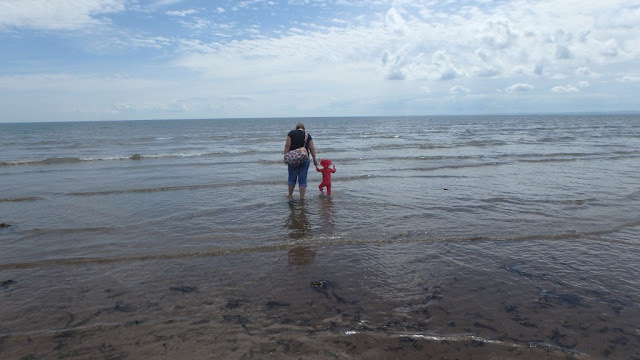 I am a stay at home mum and in general I love it but there are times when it can be a bit lonely! I married my hubby 3 years ago after getting engaged in New York the year before (and even got to pick a ring from Tiffany's to replace the cheap one he used to propose with). I still have the cheap one and will never part with it. As well as having two children we also have two guinea pigs, two dogs and a cat. Love animals in our house and thankfully the kids love them too. As child I was competitive swimmer, training 10 times a week, plus 3 gym sessions, and getting up at 5am before school twice a week. Can honestly say the pain of getting up that early will never leave me and I still get a shiver down my spine when I think about it. I am glad I did it as I realise how important a skill swimming is. In the future would love to retrain as a midwife but until then I will enjoy my children and time at home. I don't like to write about myself either...You did well! Great post.